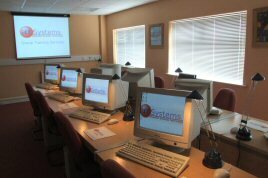 ABT Systems offer a number of Sage Micropay Professional & Sage 50 Group Training courses every month in its Training Centre at very competitive rates. The Training Centre is easily accessed, located just off the N7 between Rathcoole & Newcastle, and close to the M50 in Dublin. Please see the map below for directions. Free parking is available and lunches are provided for the full day courses. A Wireless Internet Connection is available free of charge for those who need to stay in contact with the office. GPS coordinates: 53.300738o Lat, -6.479563o Lon.